Save tomorrow.Think safety today.Work with us now! We must be aware that it is really important to know on how we handled things more especially on transportation of dangerous goods.Only LlewellynEurope can give you the best professional service. 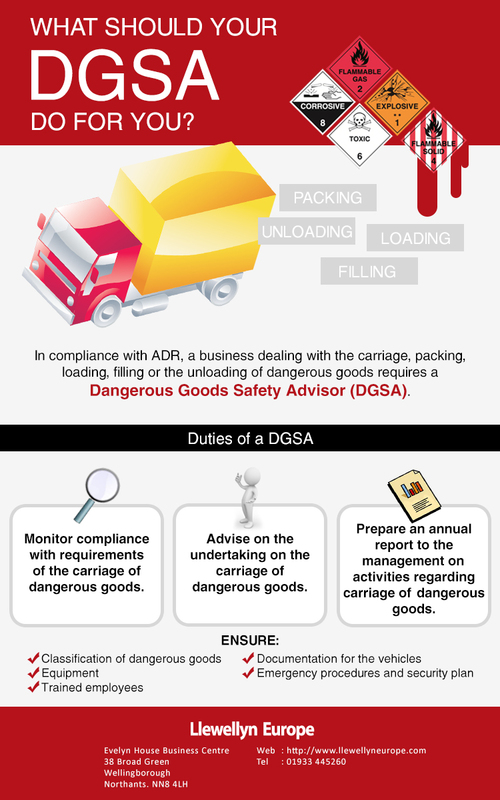 Get professional DGSA or dangerous goods safety advisor for business owners and manufacturers.